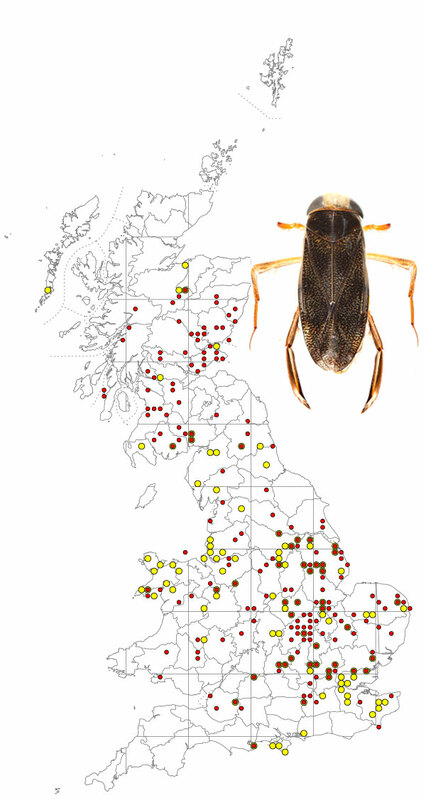 Corixa dentipes is a fairly widespread species, although apparently absent from south-west England and the far north of Scotland. First recognised in Britain in 1928, the species is similar in size and appearance to the more common Corixa punctata with which it often occurs in neutral to alkaline ponds, ditches and backwaters of slow-flowing rivers. The map is based on records from NBN Gateway, with yellow dots showing pre 1990 records, reds dots 1990 – 2015 records and red on yellow dots overlapping records. 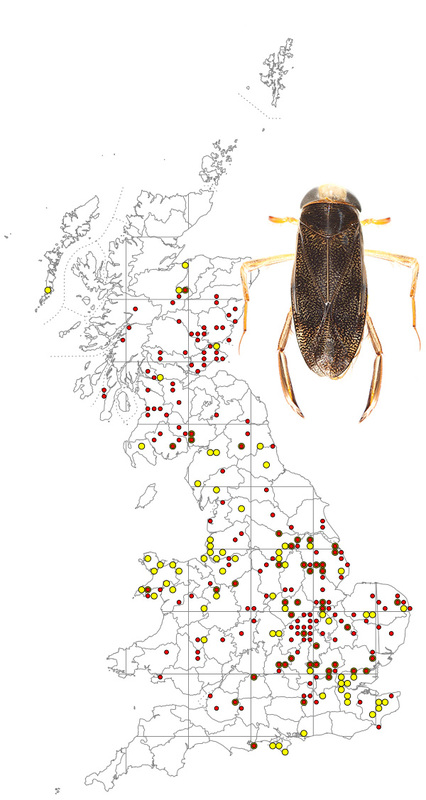 C. dentipes is widespread in the northern half of Ireland but very scarce in the southern half. Corixa dentipes is easily distinguished from other Corixa species by the indentation or notch in the tibia of the middle leg, where it joins the femur (see below). It is one of the larger Corixa species, 12 – 13 mm in length, with the claw of the middle leg shorter than the tarsus and 15 – 20 pale lines on the pronotum.